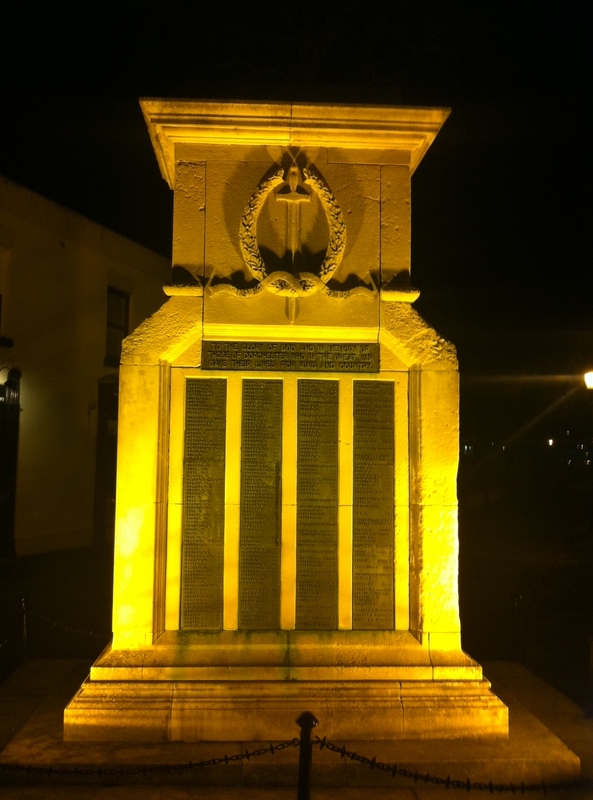 This is the war memorial at Dorchester, in Dorset, UK. In was unveiled by Lord Ellenborough on 24 May 1921 and commemorates almost 300 men who lost their lives in the First World War. Many served with the Dorsetshire Regiment, but as is the case with most UK war memorials the list of units is wide-ranging. This entry was posted in Events and tagged Centenary of the First World War, Dorchester, Dorset, Dorsetshire Regiment, War memorials. Bookmark the permalink. Yes, that’s fine. Glad to be able to help. Credit would be great.